TRENTON, N.J. (CN) – New Jersey violated prohibitions on religious funding by granting millions of dollars to repair and restore churches, the state’s high court ruled Wednesday. Clocking in at 52 pages, the nearly unanimous ruling has a silver lining: Though the court says future grants to churches are prohibited, it does not touch the $4.6 million awarded to 12 churches out of Morris County’s historic-preservation fund between 2012 and 2015. “It is shocking that it took a trip to the New Jersey Supreme Court to enforce such a plain constitutional command,” Annie Laurie Gaylor, co-president of the Freedom From Religion Foundation, said in a statement about the ruling. 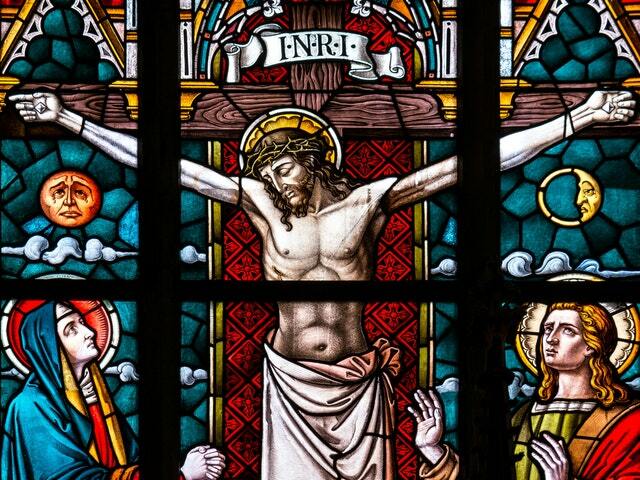 Representing about 40 percent of the budget for historic preservation, the grants here approved by Morris County’s freeholders covered plumbing work, fixing an old chapel roof and restoring a stained-glass window depicting Jesus and two disciples. The Freedom From Religion Foundation and taxpayer David Steketee brought their challenge to the grants in 2015, invoking the New Jersey Religious Aid Clause, which has been part of the state’s constitution since it was drafted in 1776. The clause prohibits the use of public funds for “building or repairing any church or churches, or place or places of worship,” and Wednesday’s ruling says definitively that it bars the grants at issue. Joined by five colleagues, Chief Justice Stuart Rabner wrote in the lead opinion that New Jersey’s law is clearer than any adopted by states in their constitutions from 1776 to 1780. The clause shows that “New Jersey was at the forefront of a historic and substantial change, and signaled its longstanding and vigorous commitment to religious liberty and freedom from compelled support,” Rabner wrote. Rabner also said that the clause does not run afoul of the U.S. Constitution’s preservation of religious freedom, focusing on the U.S. Supreme Court’s 2017 ruling in the case Trinity Lutheran Church v. Comer. the Morris County church projects funding “stand in stark contrast” to how the money was used in the Trinity case, resurfacing a playground for a related daycare center. Rabner noted that all 12 of the Christian churches that received state grant money have active congregations and conduct regular worship services. Some even said specifically in their grant applications that they intended to use funding for repairs to continue to conduct worship services. In a concurring opinion, Justice Lee Solomon noted that New Jersey has a substantial government interest in historic preservation, and the grant program could have been set up so as not to single out churches and therefore allow them to dip into taxpayer funds. “I believe that had Morris County’s program been applied in a fundamentally neutral manner, the Religious Aid Clause could not bar funding to an otherwise qualified religious institution,” Solomon wrote. The trust fund’s rules explicitly list four types of eligible organizations: municipal governments, charitable conservancies, county government and religious institutions. Andrew Seidel, a constitutional attorney with the Freedom From Religion Foundation, called the ruling a win for both taxpayers and secular citizens. “Governments in New Jersey cannot force Muslims to bankroll temples and yeshivas, compel Jews to subsidize Christian churches and Catholic schools, force Christians to fund mosques and madrassas, or nonbelievers to support any religion,” he said in a statement. The case drew amicus briefs from several religious and civil rights groups, including the ACLU, Americans United for Separation of Church and State, and the Becket Fund for Religious Liberty. “The court’s decision today leaves churches out in the cold and denies the many important contributions they have made to our nation’s history and culture,” Becket Fund counsel Diana Verm said in a statement. Opting not “unwind the awards at this late date,” given that some of the funds likely have been spent by the churches, Rabner noted that the ruling will apply prospectively to future grants. Larry Ragonese, a spokesman for Morris County Freeholders, said in an interview that Morris County had been anticipating that 2018 churches to submit applications. Churches are “a vital part of the historic fabric of where we live, interwoven in the history of how our country, state and nation developed,” Ragonese said. Morris County’s case went to the high court last year for oral argument after Somerset County Superior Court Judge Margaret Goodzeit upheld the funding. Ken Wilbur, who represented the churches during arguments, told the court the money was not being used to benefit religion, but rather to benefit the public, just as it was being used for historic preservation efforts in service of the public and not merely repair in service of the churches’ congregations. Paul Grosswold from the Freedom From Religion Foundation countered that churches should self-fund their own repairs and not rely on public funds. “These churches are not museums that are open to the public,” he said.